Shortly after the South Napa earthquake rattled my northern California neighborhood, I started wondering: “what does this all mean for local municipal bonds?” While a rational response to such a question might be “get a life”, other muni fanatics reading this blog may be interested in what I found. 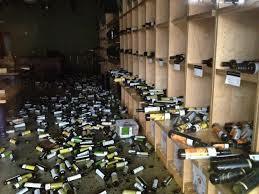 The two cities most affected by the quake were Napa and American Canyon. In fact, the latter city’s web site was down on Sunday so I was forced to go to EMMA to locate its CAFR. Both cities seem to be in very solid financial condition and should be able to take the hit. The implications of an earthquake for city finances are complicated. Most of the initial cashflow losses are suffered by private parties. Also, serious earthquakes are normally followed by a disaster declaration, which makes more intergovernmental support (both federal and state) available to the local governments most severely impacted. Longer term, a city could experience reduced property tax revenue if damaged homes and commercial buildings are not repaired and thus lose value. This does not seem to be a risk at all in Napa. Since the city is a tourist magnet, there are strong incentives to fix and redevelop the downtown properties damaged by the temblor. A third city close to the epicenter may have a tougher time. 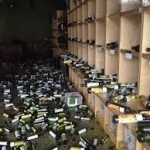 As revealed in a story that appeared on Bitvore, the city of Vallejo suffered over $5 million in damage from the temblor. Denizens of the municipal bond market will recall that Vallejo filed for Chapter 9 bankruptcy in 2008. Its travails have since been eclipsed in the media by those of Stockton, San Bernardino and Detroit – but at the time of its filing, Vallejo’s bankruptcy was the biggest since the Depression. Although the city emerged from bankruptcy in 2010, its financial troubles have continued. A March 2014 report on CNN Money discussed Vallejo’s ongoing problems with public safety pensions. According to its latest CAFR, pension contributions accounted for 15% of governmental fund revenue. The city had $90 million in outstanding bonds. I don’t know whether last weekend’s quake will dampen property values in Vallejo enough to tip it into a new financial crisis. But I do know you that if Vallejo does suffer another financial meltdown, Bitvore users will be the first to know.